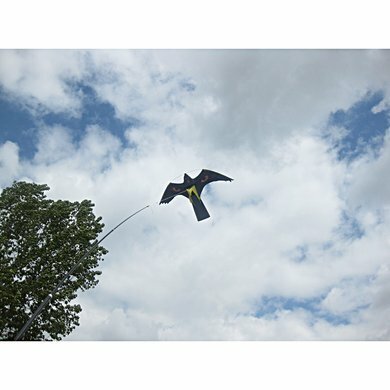 The effective and life-like bird repellent kite. Mainly works for scaring the smaller birds. 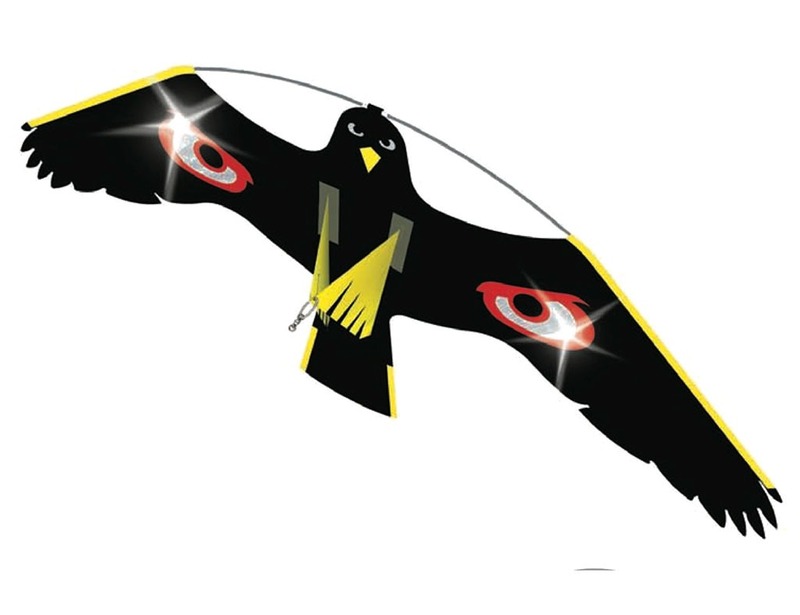 The flying hawk bird scarer has to be hung on the tip of a long rod (not included). 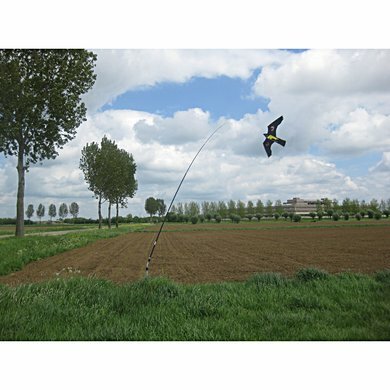 This full size replica of a hovering hawk is made of tough weatherproof plastic, so it lasts. You can protect your stone & pome fruits, nut, berry or broad acre crops on calm and windy days because you suspend your hawk over or near your crop. No power, wind or poison needed which protects the environment, and it prevents birds from damaging your garden. 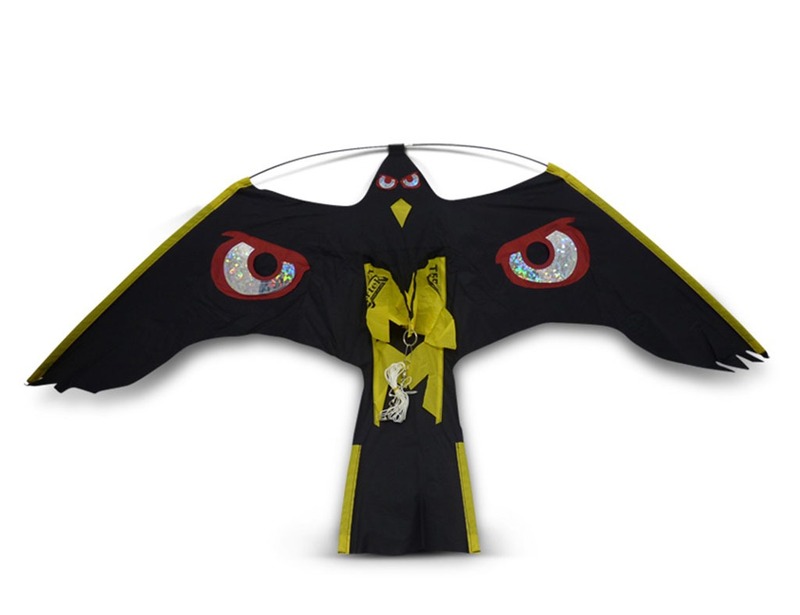 Your flying hawk kite looks real so it scares all birds including Crows, Corellas, Starlings, Jays, Parrots and Bulbuls. Works well with even very low wind speeds.